For the treatment of iron deficiency apply an iron Supplement. However, the intake of these medicines requires compliance with certain conditions – if the iron gets in the body, to be poorly absorbed, treatment will be ineffective. 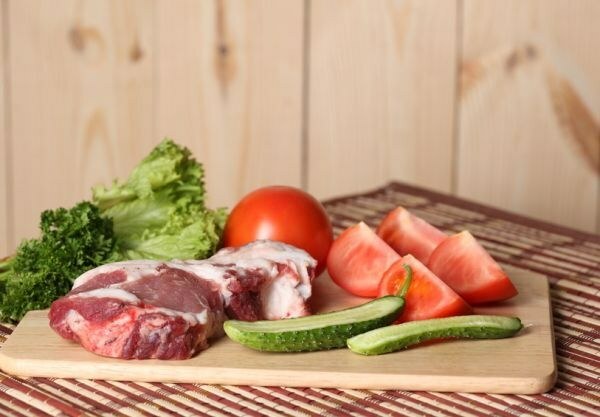 Therefore, in the treatment of anemia and its prevention requires a special diet, to eat foods that promote iron absorption, and avoid food that interferes with its absorption. It helps the absorption of iron? Although the products of animal origin generally poorer in iron than plant foods, is better absorbed heme form of iron that is in plant foods missing. In heme the form of this required for a normal functioning of the body trace mineral is present in meat, especially red offal (liver, heart), fish, oysters and mussels. The absorption of iron from foods of animal origin contribute foods rich in copper, cobalt, zinc. Zinc, cobalt and copper in great quantities in liver, cocoa, seafood. Iron from plant foods is well absorbed, if you combine their intake with the consumption of meat products, while the absorption of iron from meat will be somewhat hampered. Also contribute to the absorption of this trace mineral, ascorbic acid, fructose, citric and succinic acids. Therefore, porridge is rich in iron buckwheat, for example, combine with steamed vegetables, as a seasoning for meat using lemon juice, rich in vitamin C. Wish to increase the level of hemoglobin is recommended to use strawberries, strawberries, bell peppers and cauliflower, and a lot of ascorbic acid is also found in kiwifruit and tomatoes. For a good assimilation of iron, you also need to eat enough foods which contain folic acid – parsley, young nettle, dried apricots. What foods impair the absorption of iron? The natural antagonists of iron – calcium and magnesium. Foods rich in these substances should be consumed no earlier than two hours after foods containing a lot of iron, or of medicinal products for the treatment of anemia and two hours prior to their use. A lot of calcium in milk and dairy products of magnesium is in nuts and grains. Seriously hamper the absorption of iron caffeine and tannin. Therefore, coffee, tea, including green, wine red at the time of treatment of anemia or a special medical diet to increase the level of hemoglobin is better to exclude from the diet completely or at least to minimize, thus you should not wash down a meal with tea or coffee – they are better drunk separately from any food. Do not contribute to the absorption of iron phosphates, phytates (salts of phytic acid) found in abundance contained in cereals (wheat, corn, soy) and legumes, and eggs. Meals of these products it is not recommended to combine with meat – it is best to eat them separately. In addition, a good the absorption of iron prevent oxalic acid found in spinach, sorrel, blueberries, hurt and high content of fat or dietary fiber in foods.